Hey, everybody! It’s 0kamii, and welcome to my first VGC core analysis of the 2018 season! I’ve been teasing the introduction of this core for several weeks now, and this was initially going to be posted in late February. However, as some of you probably noticed, I’ve been unusually absent from the site in recent weeks because of poor scheduling with my job. Fear not, though. I’ve stuck it out and I’m as determined as ever to share with you all my creation. Yes, that’s right. My creation. This core, which I’ve dubbed MaLaMa, is an original core that I’ve been testing on Showdown the last few weeks to shocking success! Out of thirty battles, my win to lose ratio stands at 19:11, or roughly 63%. Yes, that’s nothing amazing, but it’s amazing for me. If someone of my skill level (average) can use this core to this effect, I can only imagine what it can accomplish in the hands of masterful VGC players. So, without further ado, I give to you: the MaLaMa core! As you can see, the two primary attackers of this core, Landorus-T and Mega Manectric, on their own have the capabilities of picking up numerous OHKOs and 2HKOs against a great many of the prominent pokémon in use at this point in the meta. The only pokémon against which these two struggle are many of the Trick Room setters such as Cresselia, Porygon2, and Gothitelle, and well as some niche picks like Scrafty, Kommo-o, Intimidate Incineroar, and Ludicolo. Out of thirty pokémon, to only struggle with a few is astonishing in my opinion. And keep in mind, this is reliant on only these three. As with any core, it’s necessary to build around it properly. And with this core, unlike CHALK, there are three available customization spots. Below are some of the successful pairings I’ve tried with this core. These two fit well into just about any team, and their combination of redirection and setup makes for a deadly combination on its own. When added to the MaLaMa core, their offensice power becomes a struggle, as there’s little to stop a +6 Snorlax and an angry Scarf Landorus-T from steamrolling the opponents. Watch out for Clear Smog and Defog users, it kills their momentum. 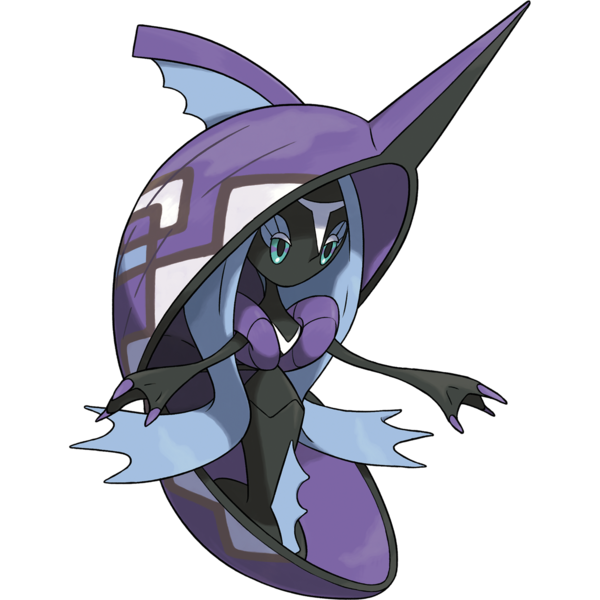 Tapu Fini fits well into this team because it abuses Manectric’s Lightning Rod ability, baiting those attacks and using its bulk, or Choice Specs to dish out damage. 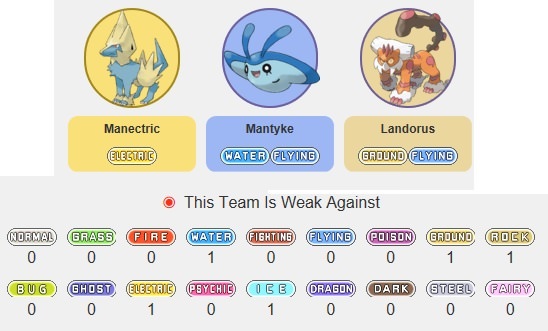 Having an offensive Water-Type, as opposed to Mantyke who plays a supportive role, also gives you Water/Fairy/Ice coverage against the meta from which this team benefits. 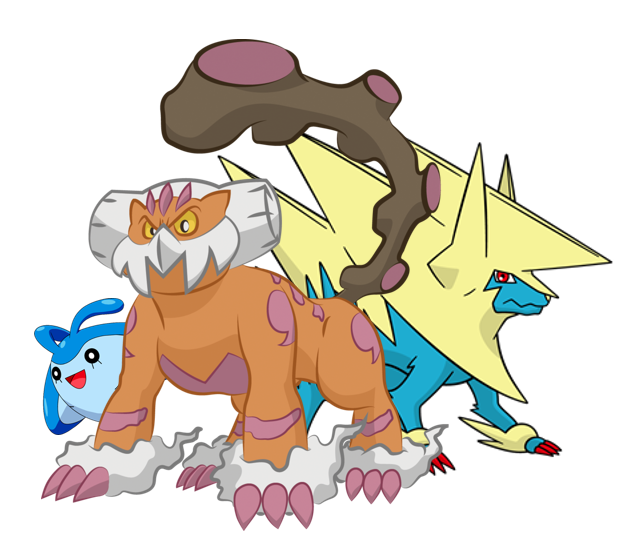 Fini is one of those mons that was constantly brought on board as a fourth, and gives MaLaMa a bulkier Special Attacker if M-Manectric is thought to be too frail. Lele and Mega Metagross have been best friends since the meta began, and it fixes many of the issues that the primary three were lacking. 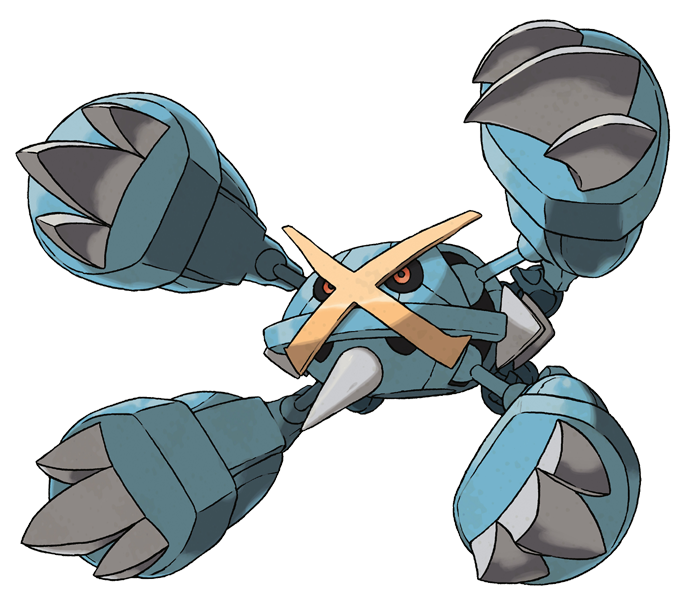 It gives viable options against Kommo-o, Scrafty, and serves as a hard counter to Trick Room setters that don’t have enough damage output on it like Cresselia and Porygon2. 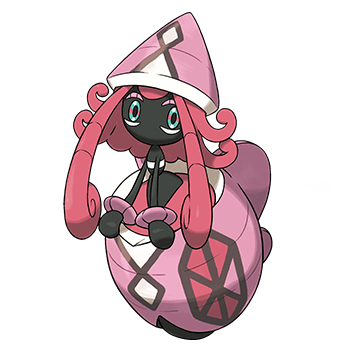 While the use of the latter is less common, having the option is never bad, and one could always run Taunt on Lele to prevent Trick Room altogether. Nothing wrong with pairing a team with its own Trick Room setter, and in my opinion, Mimikyu is the best one for this team. Here, you’d want to run a Band Landorus-T over its Scarf variant for that extra damage, and ability to underspeed other Landorus-T in Trick Room. This sub-core about gives MaLaMa the option of Belly Drum + Psych Up. Also, since the majority of Mantyke’s moveset will be comprised of moves that have priority, the presence of Trick Room will not hinder its ability to perform its role. Obviously, none of these combinations are superior over another. Try out whichever one works best for you and customize it for what you expect to face. The possibilities are endless, and there’s no shortage of creative trainers to help teambuild should you get stuck. Well, that’s the bulk of it. I’ll definitely expand on this guide later and update as I go just like I did last year with my Emolga post. Feel free to offer criticism and possible improvements to the core. Please keep in mind that I’m only bringing to attention something that I noticed had potential, just like last year. I’m not trying to revolutionize the meta, nor ‘encourage people to use bad strategies’ as I’ve been told. Pokémon at its core is meant to be fun, and there’s nothing more exciting than winning with a team you designed yourself that both fun to use and unconventional. You are free to disregard any and everything I say. That’s your choice, but I hope at least you found this read interesting, and I’ll be glad to answer any questions about the core or possible team compositions as the meta progress. Thanks so much for reading, everyone! Battles onwards, friends! Very interesting! I know my friend is using Sudowoodo to good effect currently in the season. I like how creative the core is, and I honestly did not know about Mantyke's special defense. I may try toying with similar cores, since I'm getting back into the meta after finals week, with my first competition today since Dallas. Maybe I'll post some of the many teams I've made over the season here to inspire others. Overall, I think this core is really interesting! I hope it continues to do well! You brought up some good points that I think I'll work into the post. I also think I'll include a section about how to counter some of the other popular cores, and well as a more detailed explanation about why I chose the name MaLaMa. I think it's important to emphasize a core's supportive capabilities as well as its offensive prowess, so expect to see an update here soon. I just wanted to get the bulk of it up first. Thanks for the feedback, Arctero, and good luck on the tournament! Hope you save us some good replays! @0kamii Put this on Showdown (I don't own a USUM Game ) and battle me there with my VGC18 team. Okay. What's your Showdown name? Also, I apologize if I disconnect. I DCed several times when I battled FT, so it could happen. can anyone direct to i guess forums or links that teach really good team building strategies? Im just getting into competitive battling and still struggle with tema building. If you're looking for good information on VGC teambuilding, lessons in prediction, or general overview of the VGC 2018 do's and don'ts, I'd recommeond Aaron "Cybertron" Zheng's YouTube channel, former World Champ Wolfey Glicke's channel, or watching official tournament playbacks at the Official Pokémon YouTube channel. If you don't have access to YouTube, we occasionally hold tournaments and teambuilding workshops on this site, and you're free to PM myself and some of our more competitive oriented players like @RetroTyphlosion, @PerchPond, and @"yung lord" depending on which format you're building. Hope that helps you, jreal! Best of luck! P.S. Don't forget to try diving right in! 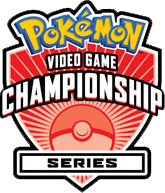 I went into my first VGC season with no help and learned as I went. Sometimes, that's the best way to do it. And don't forget to use Pikalytics to see what other people are commonly using. Makes teambuilding WAY easier!